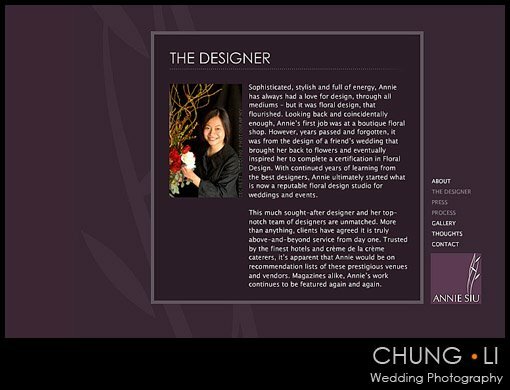 I'm so glad to receive Annie Siu's email yesterday about her web site re-launch. Annie is one of the most talented Floral designer I know in the bay area, both her work / design and her friendly personality impressed me so much. I got to know Annie in June & Greg's wedding in San Francisco City Hall last year. 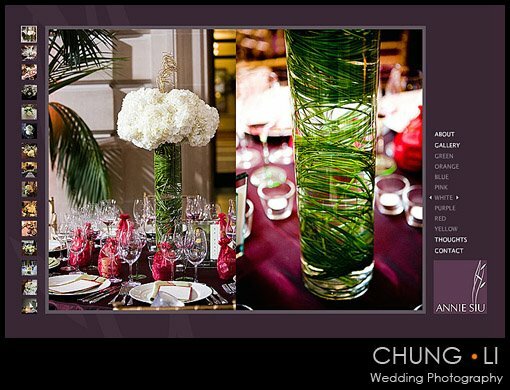 She asked me If I could help her capture some of her beautiful flower setup shots for the event. Of Course no problem ! (even she didn't ask me, I will do it as they are just too gorgeous). 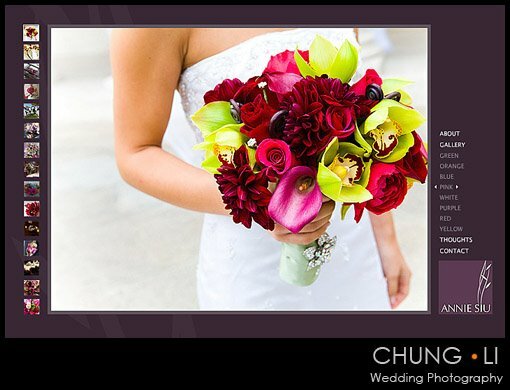 Her flowers and all the bouquet are so beautifully made and nicely decorated with attention to all details . 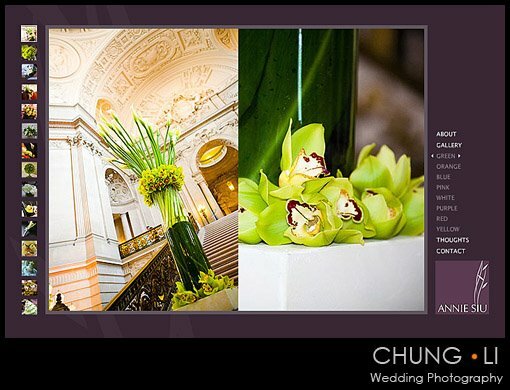 It added so much flavor to the wedding and making the San Francisco City Hall even more magnificent ! I'm so honored to have some of the photos I took in the wedding to be published in the very first few page in her web site gallery section. Congratulation again to Annie's web site re-launch .